Goodnight Scholars Program: Where have you been this summer? 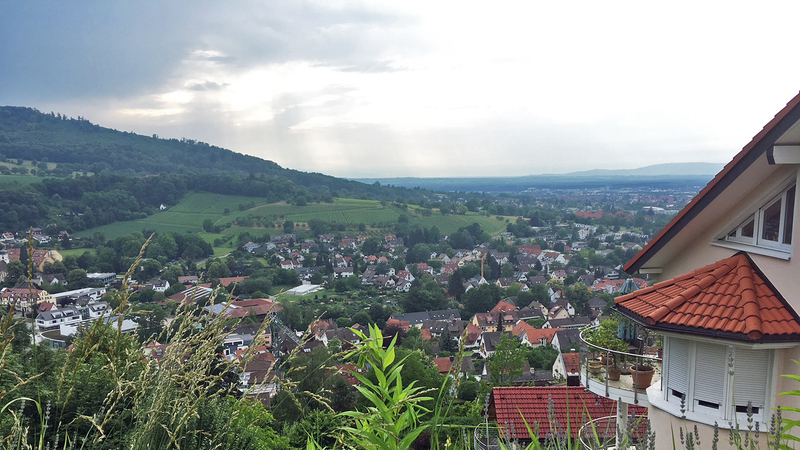 Meredith Bain ’19: I’m currently finishing up an internship in Ingolstadt, Germany, where I have been developing a computer-based greenhouse gas emissions monitoring system to track progress on the city government’s carbon neutrality plan. My majors are math and German studies, and I do a lot of environmental and climate change work at NC State and in Raleigh, so it was a perfect fit for me. How did you discover this internship opportunity? The short story is that I got the internship through my German adviser, but the long version is that I applied to a program run by a nonprofit called Cultural Vistas, where you submit a resume and a bunch of writing about your career aspirations and level of foreign language competency, and then the people there do their best to find a relevant position for you. They tend to do an awesome job! I met other people in the program who got summer jobs helping refugees navigate the asylum application process in eastern German cities, a student who is working with an international intelligence think tank in Berlin, and even a chemical engineering major who is working at a startup brewery developing new kinds of tasty German beer! Anyway, they’re great at what they do and they run similar programs all around the world, so go ahead and check out Cultural Vistas if you’re feeling adventurous next summer. What about this internship appealed to you? It offered the opportunity for me to participate in a local climate policy project that has significant international ties. For starters, the city took up the emissions monitoring project in response to the 2015 Paris Accord, where Germany and literally every other country except America promised to minimize emissions by the year 2050. In my internship, I’ve also had the opportunity to work with politicians from several of Ingolstadt’s partner cities on sustainability initiatives. 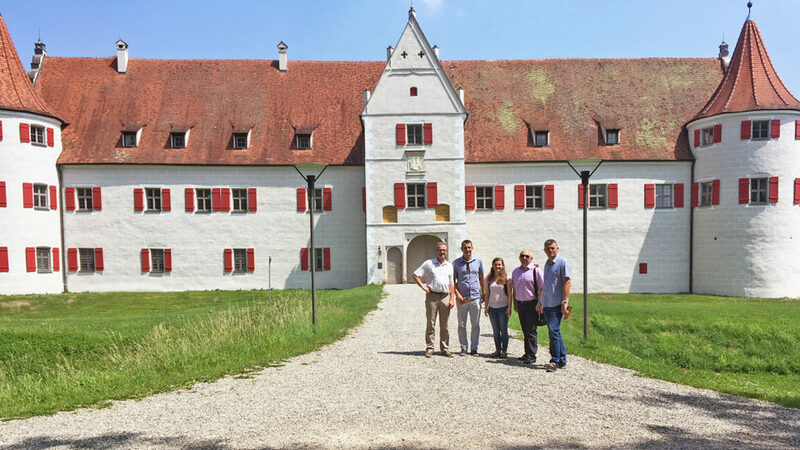 My favorite partnership was with the city of Kragujevac, Serbia, where my boss and I were able to take the delegates around the city for a couple of days to showcase Ingolstadt’s state-of-the-art system for biological waste management and other environmental projects. I also had the chance to hear about similar partnerships run by other cities in Germany, like an energy emissions reduction project in Pfaffenhofen and an environmental justice partnership between Berlin, Munich, and a small town in Bosnia. Finally, I’ve had the chance to participate in the proposal process for an international system of parks along the Danube, which is an INTERREG Europe project coordinated by a team in France. To me, one of the most intriguing parts of finding climate change solutions is that there must be energy focused on the problem at all levels, from personal choices to local government initiatives all the way up to international plans of action. I love that this internship exposed me to the regional and international cooperation that goes into European initiatives against climate change. Going into this internship, what were you most excited about? I was most excited to have the opportunity to spend my summer dedicated only to environmental work, whereas during the school year my attention tends to be distracted by math homework and other extracurricular obligations. I was also excited to meet people whose full-time jobs are protecting and improving the environment! My German skills are really not that great, so I was worried that I wouldn’t be able to keep up with the pace of work. However, I’ve improved a lot! A rudimentary grasp of German is all that’s necessary to be a competent worker. It’s pretty arrogant to assume that everyone will want to accommodate you by speaking English all the time, and unless you’re making speeches or leading press conferences, a basic knowledge of your target language will suffice. 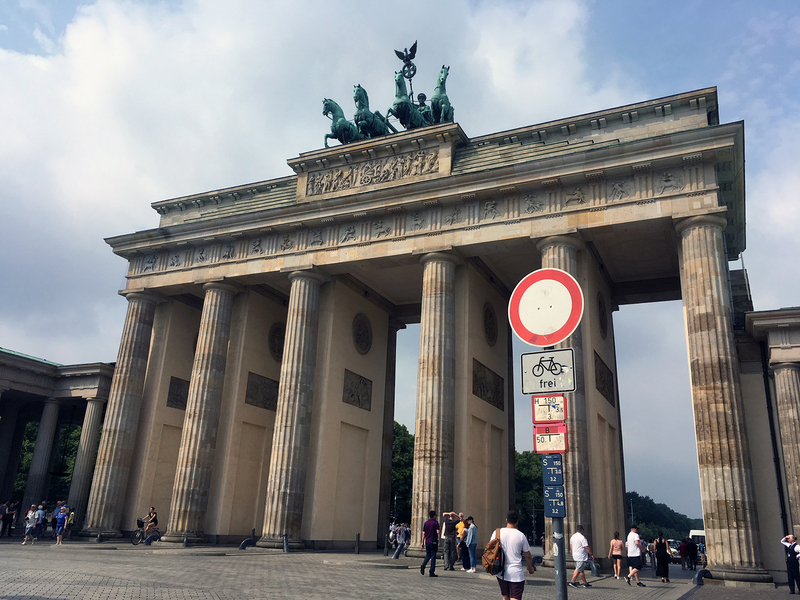 What does someone visiting Germany for the first time need to see or experience? Go on a bike ride! Germany has a very well-developed infrastructure for bicycles, and it’s perfectly feasible to bike between small towns. I’ve been on several day trips along the Danube exploring the villages in the area and, in my opinion, it’s just as fun as going to big cities like Munich and Berlin. The rural areas are so scenic, especially on the river, and if you’re lucky you might even get to see an enormous German rabbit along the way. Germans also have this drink called eiskaffee, which is basically a cup of coffee with a massive helping of ice cream scooped into it. You should definitely try eiskaffee. Of all the lessons you learned during this internship, which one had the most profound impact? I learned that it’s okay to throw away old work and give up on ideas that are not functional. The final version of the emissions monitoring program is the 11th iteration of my third idea of what the system would look like, so needless to say a lot of my work was thrown away. It was always terrifying to give up on a program that had taken so much time to develop, especially as the deadline got closer, but I noticed that every time I started over I was a faster and more efficient worker. It’s like when you’re watching Project Runway and the designer throws away their dress with one hour to go until runway time, and you’re like “No! What are you doing? That’s insane,” but then they somehow come up with something better and win the challenge. All of the failed and messy attempts helped me improve the math and layout of the next iteration, so it ended up not being a disaster every time I had to start over. After finishing up my senior year, I’m hoping to take a gap year to help organize primary campaigns for national political candidates who have strong positions on climate change and environmental justice, and plan to take serious steps to decrease the inequality that exacerbates these issues. Beyond that, I’m applying for programs in environmental governance, programs in renewable energy law, jobs with environmental nonprofits, and post-baccalaureate fellowships in energy policy. Hopefully, something will work out!